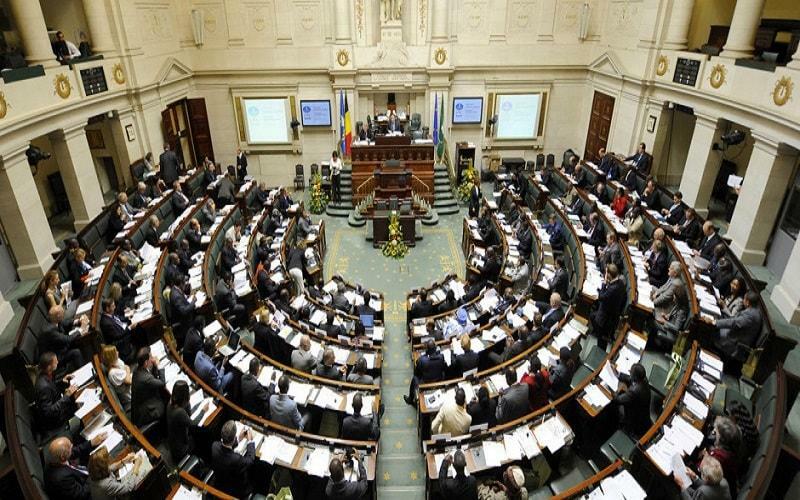 140 Belgian Parliamentarians has issued a solidarity statement expressing their support Iranian People’s Demands for Democratic Change and the Iranian Diaspora’s annual Paris convention, organized on June 30th. I am happy to announce the joint statement by 140 parliamentarians in Belgium in support of the current protests, strikes and uprising for a democratic change in Iran. The signatories are from major political parties from the Federal parliament, regional parliaments, European Parliament and the senate. The uprising which began on 28 December and continued for several weeks, shook Iran. The nationwide protests covered all 31 provinces of Iran and 142 cities. Many protesters have already died in custody under torture. The top leaders of the regime have confessed to the role of the main opposition, PMOI (MEK) in leading the protests. In May, anti-government protests in city of Kazerun were brutally repressed by the regime, leaving at least 4 dead and hundreds wounded, with many arrests. In recent weeks Truck drivers have been on an unprecedented nationwide strike all over Iran. Last week the regime raided the homes of Steel workers in city of Ahvaz who have been protesting for unpaid wages. Workers and teachers’ protests have been going on in many Iranian cities in recent weeks. “We condemn the use of force against the defenceless protesters and call on the EU and European governments to adopt effective measures and binding decisions to compel the regime to release the prisoners of the uprising, uphold freedom of expression and association, end repression against women and especially annul the compulsory ‘Hijab’ for women,” Belgian lawmakers stated. The nationwide protests and strikes is a sign of lack of basic freedoms and violations of human rights. The people of Iran expect Europe to be on their side and not just focus on trade and business with Iran. As elected politicians of the people of Belgium, we believe the Iranian people’s calls for democracy should be taken seriously. “Human rights and women’s rights in Iran cannot be compromised or marginalized on the pretext of political considerations, trade or the nuclear deal. Any expansion of political and economic relations with Iran must be conditional upon a clear progress on human rights, women’s rights and a halt to executions,” the parliamentarians demanded. We are deeply concerned about the suppression of the nationwide uprisings in Iran at the beginning of this year. The backlash by the “Islamic Republic” has been violent. Dozens were killed on the streets and at least 14 have died under torture. Amnesty International has called for an investigation into the deaths in custody. The head of Iran’s prisons organization confirmed the arrest of 5,000 protesters. The human rights situation has deteriorated in the wake of the recent protests. Iran continues to carry out the highest number of executions per capita globally. According to Amnesty International Global Report, more than half of all recorded executions in 2017 were carried out in Iran. The people of Iran, especially the younger generation, have made it clear that they are fed up with Islamic fundamentalist rule and want democratic change. Many chanted “down with the dictator,” “down with Khamenei” and “down with Rouhani.” Women played an active role in the protests. We condemn the use of force against the defenceless protesters and call on Belgium and EU governments to adopt effective measures and binding decisions to compel the regime to release the prisoners of the uprising, uphold freedom of expression and association, end repression against women and especially annul the compulsory ‘Hijab’ for women. We call on the United Nations High Commissioner for Human Rights to set up a fact-finding mission to investigate the situation of Iran’s prisons and political prisoners, especially those arrested during the uprising and those who died in detention. Human rights and women’s rights in Iran cannot be compromised or marginalized on the pretext of political considerations, trade or the nuclear deal. Any expansion of political and economic relations with Iran must be conditional upon a clear progress on human rights, women’s rights and a halt to executions.